Many of our patients at Beauchamp Foot Care are frequent flyers. One problem with long plane journeys is that it can often lead to swollen feet and legs. You’re seated for extended periods of time and the lack of movement and low cabin pressure over time begin to affect blood circulation. There are some things that you need to keep an eye on a day or so before you arrive at the airport. This is especially true if you’re going on a long-haul flight. The first is to watch your diet and eat healthily. If you already do this, then there’s not much to worry about but, if you have bad eating habits, try to go for balanced meals with plenty of fresh veg and fruit. Swelling can be caused by water retention so avoid any foods that are high in salts, particularly takeaways, other fast food options and processed meals. The other thing to do is drink plenty of water and stay hydrated. That doesn’t just mean before the flight but during it as well. Our advice is to stay away from alcohol or sugary drinks and stick to mineral water instead. When you’re choosing what to wear for the flight, opt for comfort rather than anything constricting, especially when it comes to your footwear. It’s a good idea to wear compression socks or hose. They’re better than normal socks that could restrict too much at the ankle. One thing you might like to consider if you fly frequently is to have a regular exercise routine. There’s evidence that people who remain fit suffer less from problems such as swollen feet and legs. It doesn’t have to be overtaxing either – regular walking or low impact exercise routines like yoga are perfect. 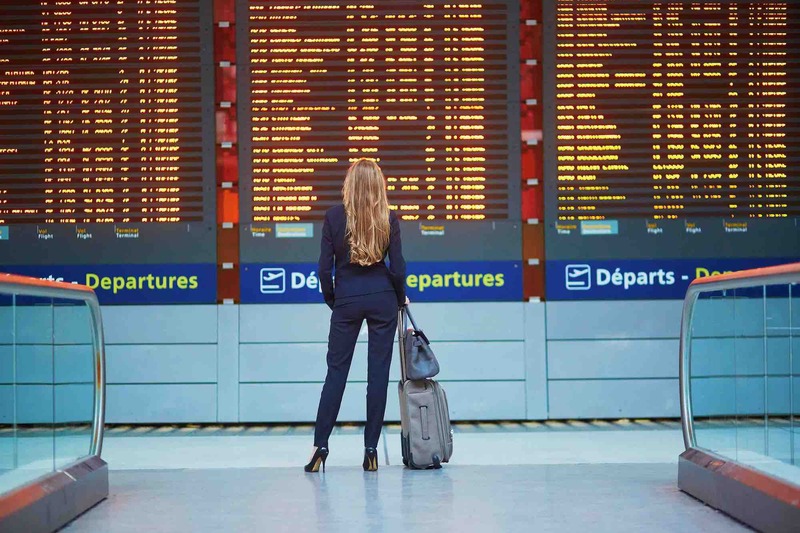 Once you board your flight, there are some more immediate precautions you can try. The first is to choose an aisle seat if possible as this gives you plenty of chance to get up and move around while in flight. Some planes have seats with more space in different areas so seek these out. They’re usually the seats at the front of each section. Make sure you have enough room when you sit down and don’t pack the area with your hand luggage. Store this in the compartment above your head. Leave enough leg room so you aren’t restricted. Get up off your seat and go for a stroll every so often. If you’re on a large plane like an A380 and it’s a long-haul flight, this is pretty easy. Being active gets the blood flowing and should help prevent swelling. If there’s not much room to get up and have a walk around, take off your shoes and give your feet and legs a gentle massage every so often. You can also exercise your feet discretely by stretching your toes back and forth. One thing you should avoid doing is crossing your legs as this can cut off the circulation. Keep your feet firmly on the cabin floor. Try also to avoid dropping off to sleep for long periods. If you are going on a long flight soon and have concerns about swollen feet or legs, you may want to seek the advice of the podiatrists at Beauchamp Foot Care. Why not book an appointment today?